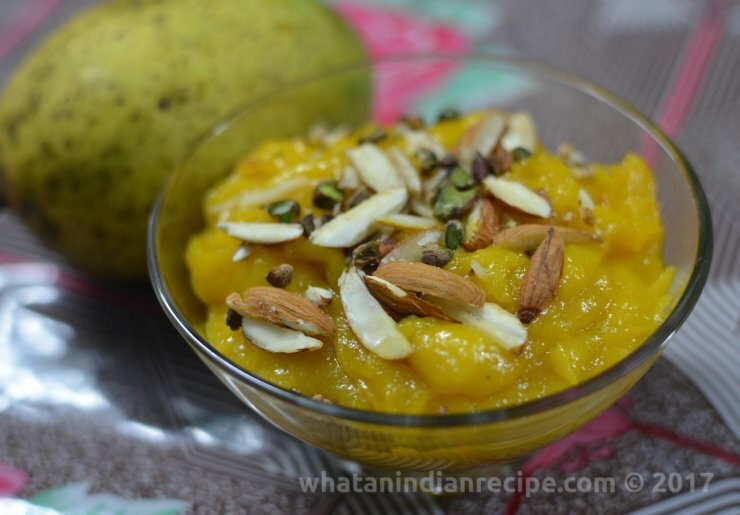 Mango halwa is a sweet pudding which uses the flavour, aroma and sweetness of ripe mangoes. Serve this as a dessert. Get the pulp of the mangoes and use a blender to make it into a smooth paste. Now heat ghee in a pan and add the mango pulp puree and cook for 2-3 minutes. To this add the milk and sugar. Cook till the sugar is completely dissolved and the halwa starts leaving the sides of the pan. Garnish with chopped pistachios and almonds and serve.